For more than 20 years, David Guzik has made his Bible commentary available on the internet for free. With each passing year, Enduring Word reaches more people in more languages in more nations than before - but we can't do it without the partnership and support of many people just like you. In Philippians 4:17, the Apostle Paul wrote that the generous Philippian Christians had a special reward: the spiritual fruit of Paul's effective service abounded to their heavenly account. I believe the same principle stands today. 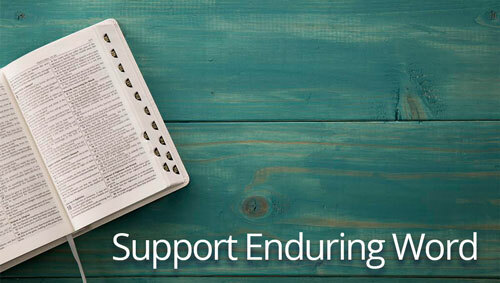 If you believe God is using these Bible resources, you can share in the reward of it all by your generous partnership.